FirstBank is excited to present customer Steve Pope of Woodbury with $1,000. 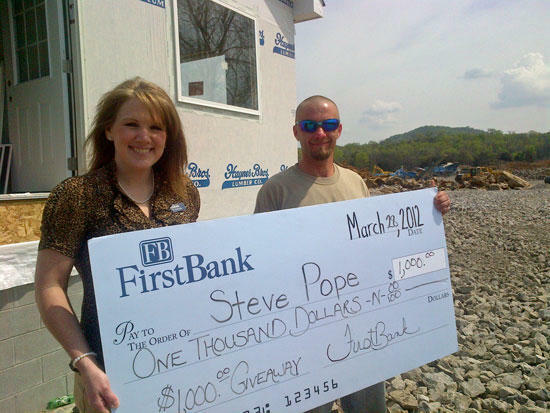 Steve is the lucky winner for FirstBank’s $1,000 weekly giveaway. Customers who opened any new checking account from February 13th through April 6th were entered for a weekly drawing of a $1,000. Congratulations Steve!